The Service Ideas 10-00744-000 ErgoServ® creamer can hold coffee, tea, creamer, milk, and more with its 1-liter or 33.8-ounce capacity. 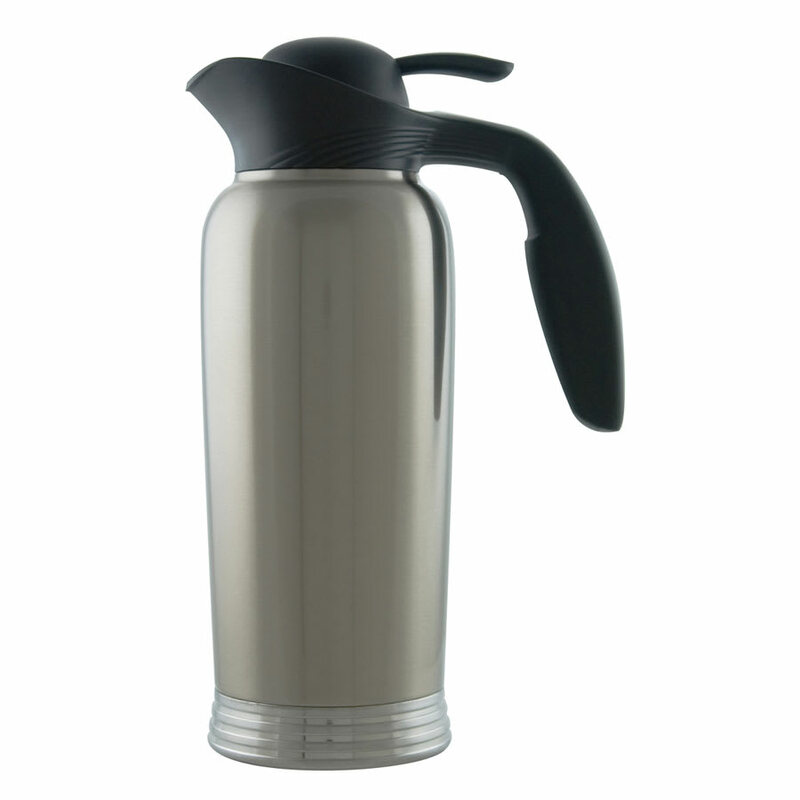 Since it is double-wall vacuum insulated, product in the pitcher stays hot or cold for 4 to 6 hours. Its body and lid come apart for cleaning and are dishwasher safe.